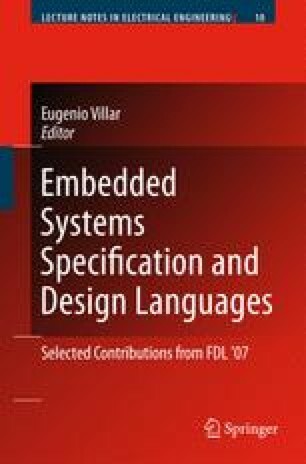 The increasing complexity of embedded system designs calls for highlevel specification formalisms and for automated transformations towards lowerlevel descriptions. In this paper, a metamodel and a transformation chain are defined from a high-level modeling framework, Gaspard, for data-parallel systems towards a formalism of synchronous equations. These equations are translated in synchronous data-flow languages, such as Lustre, which provide designers with formal techniques and tools for validation. In order to benefit from the methodological advantages of re-usability and platform-independence, a Model-Driven Engineering approach is applied.